Twisted hairstyles are, well, exactly what they sound like, according to Dickey, the creator and founder of Hair Rules. “Twists are a protective hairstyle that gets people with curly or kinkier hair anywhere through a week to a month without having to rewet the hair,” he explains. 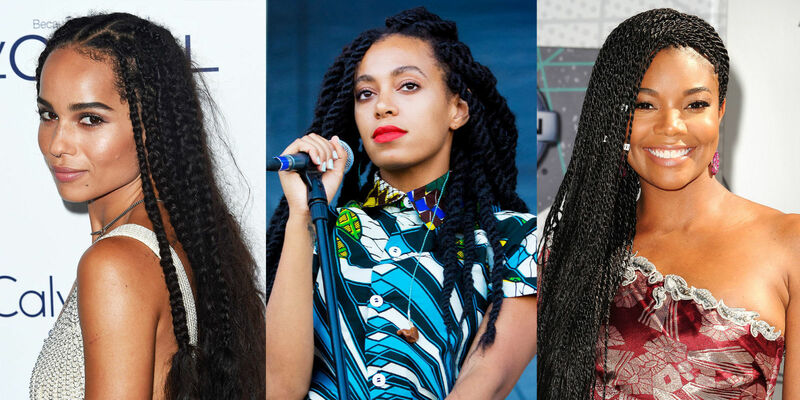 And anytime the hair is twisted—not plaited in a three-strand braid, or “locked” in permanent dreadlocks—either with two strands or more, with hair added or not, tight or loose, you’ve got yourself a protective hairstyle. Dickey does mention that people run into trouble and risk eroding their edges or losing hair when they leave twisted hairstyles in for much longer than a month. “I always tell clients, every hour you spend getting your hair done is a week you can keep it in,” he says. Another word to the wise: If your hair very tightly coiled, you’ll want to make sure your stylist blows in tons of moisture—butter, oils, creams, whips, whatever works best for your hair—before twisting it up. “Otherwise, over time, the hair can get even more brittle, broken, or dry,” he says.